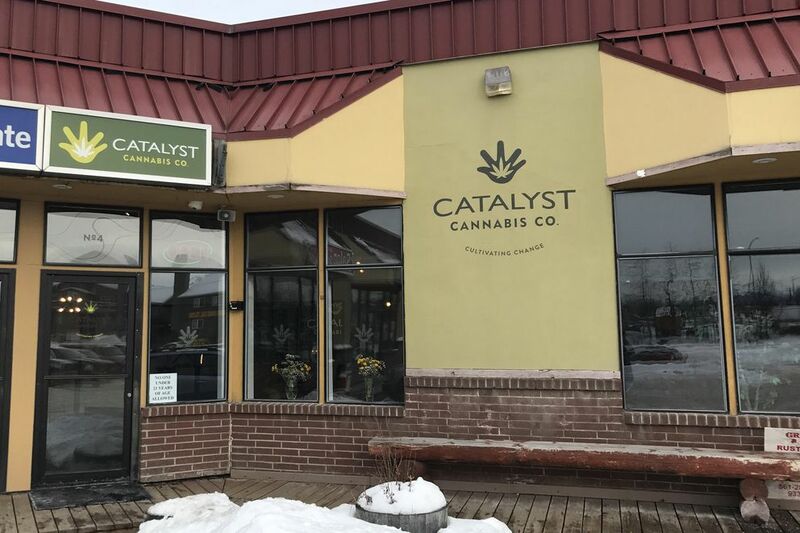 Catalyst Cannabis Co.: This marijuana store at 9900 Old Seward Highway opened in February with a focus on sustainability, said founder Will Schneider. The company also has a cultivation facility in Midtown Anchorage, which produces about 70 percent of the flower product on Catalyst's shelves. The shop also has a reusable jar program — similar to a beer growler program. "We try to practice as much organic practice as we can in an industrial indoor grow," Schneider said. "We're committed to sustainability. We're trying to take as many small steps as we can." The shop is open from 10:30 a.m. to 10:30 p.m. daily. Summit Tea: A new shop in the Fifth Avenue Mall is a satellite store to the main Summit Spice & Tea location in Midtown Anchorage at 3030 Denali St., said Peter Lachance, manager for the mall location. The new spot, on the second floor of the mall where Teavana used to be, is much smaller and has about half as much tea as the larger store, he said. Summit Tea opened in February. "The main problem with the other location — you don't know it's there unless you know it's there," Lachance said. "This way, it's kind of the other way. We get lots of foot traffic." The mall approached Summit about opening a location there, he said, and the store will be open there at least through the end of the year. Summit Tea is open during mall hours: 10 a.m. to 9 p.m. Mondays through Saturdays and 11 a.m. to 6 p.m. on Sundays. Run to the Sun: This tanning salon at 110 W. Tudor Road, sandwiched between a hair salon and chiropractic business, had its last day of business on Feb. 26, according to a sign hung on the door. "Run to the Sun will be closing our doors after 30 years of business," the sign reads. "We have enjoyed tanning all of you, and will miss you terribly." Smoke Shoppe: The smoke shop at 3401 Commercial Drive in Mountain View has closed. "Due to unforeseen circumstances, we are unable to keep The Smoke Shoppe open," a sign on the door said. The sign also mentions a new location, Mr. Smoke's, at 361 Muldoon Road, in the same building as the Last Frontier Bar. The store also offered check cashing services, according to its sign. A large "for lease" sign was in the building's parking lot on Friday morning. Grace's Cafe: This breakfast and lunch spot at 549 W. International Airport Road, in a string of strip malls, has shut its doors. The cafe closed on Feb. 17, according to a sign on the door thanking customers for their business. Grace's Cafe was in a strip of businesses that houses the Alaska SPCA thrift store, a pizza place, a fitness studio and more.